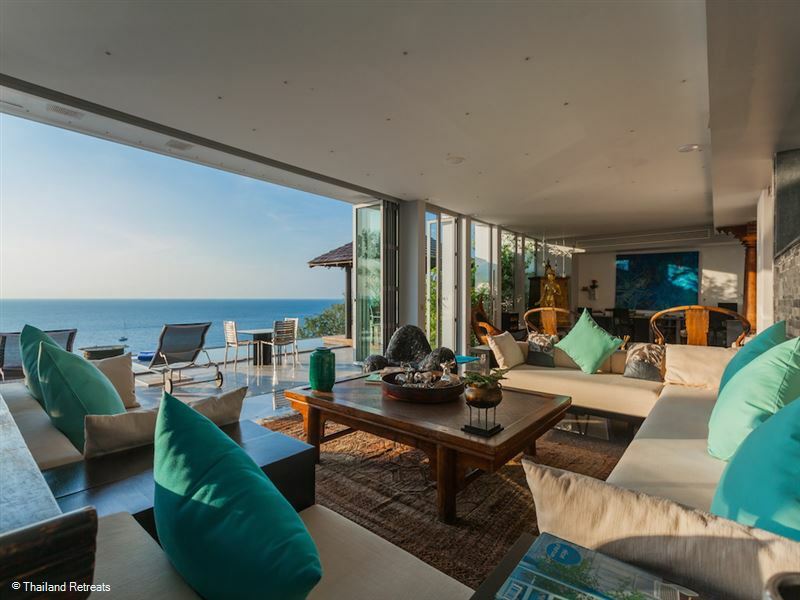 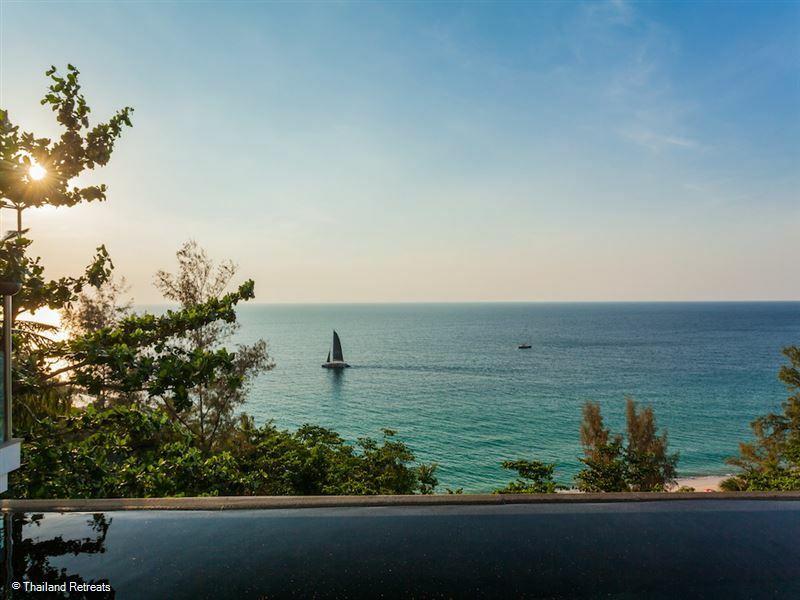 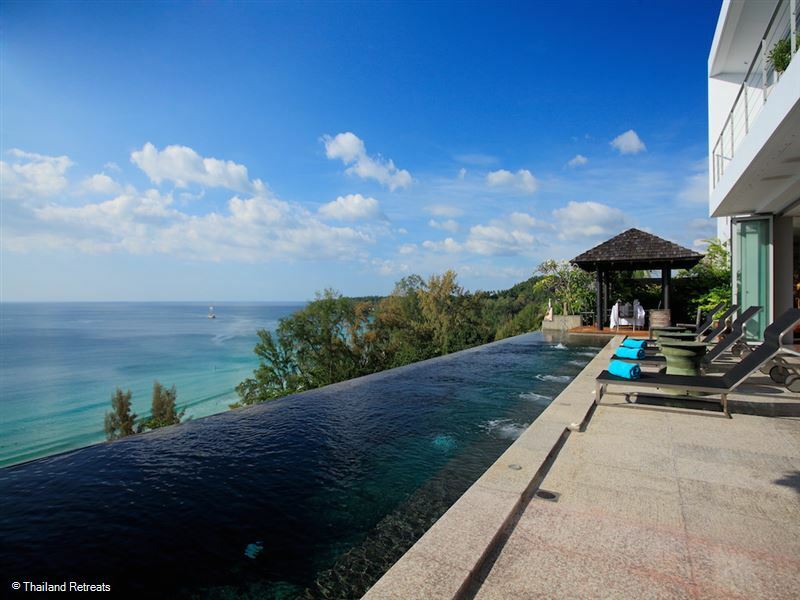 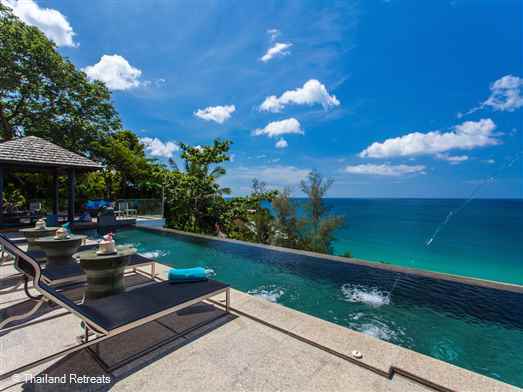 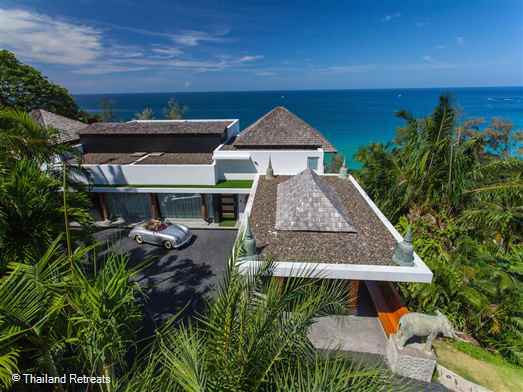 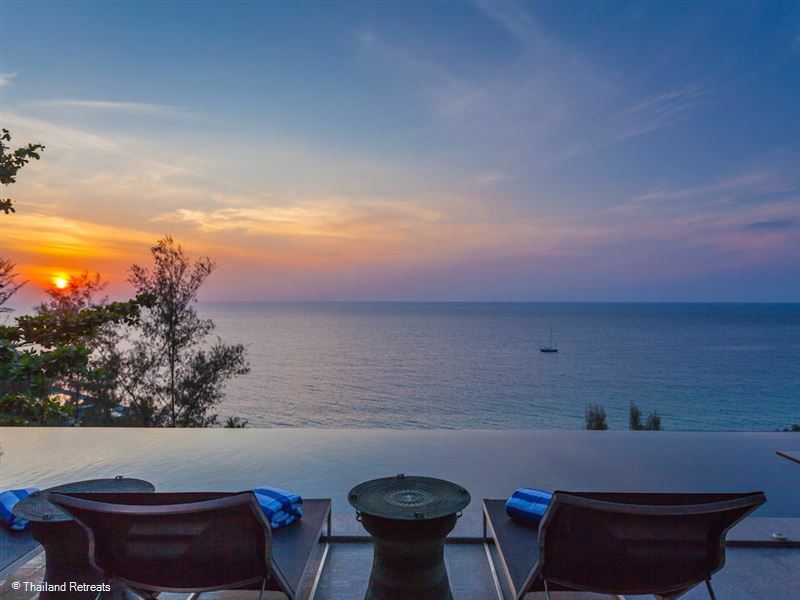 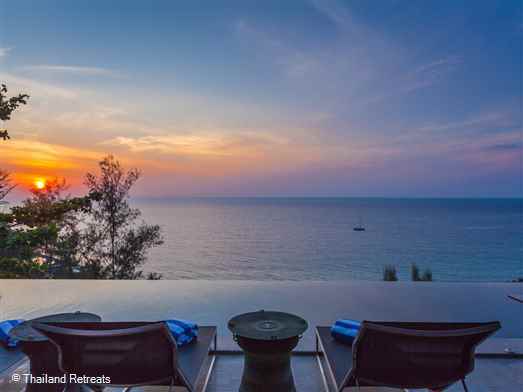 Bluesiam Villa is elevated above beautiful Surin beach on the exclusive Surin Heights Estate and offers 180 degree views of the ocean and a 15 minute walk to the beach. 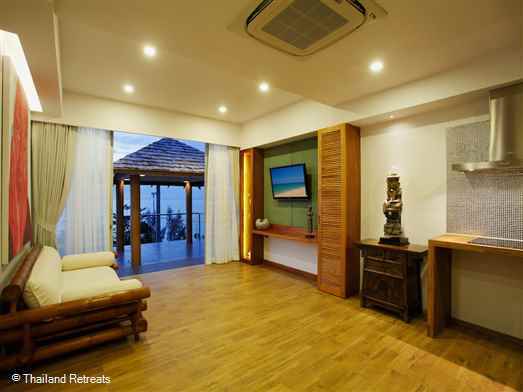 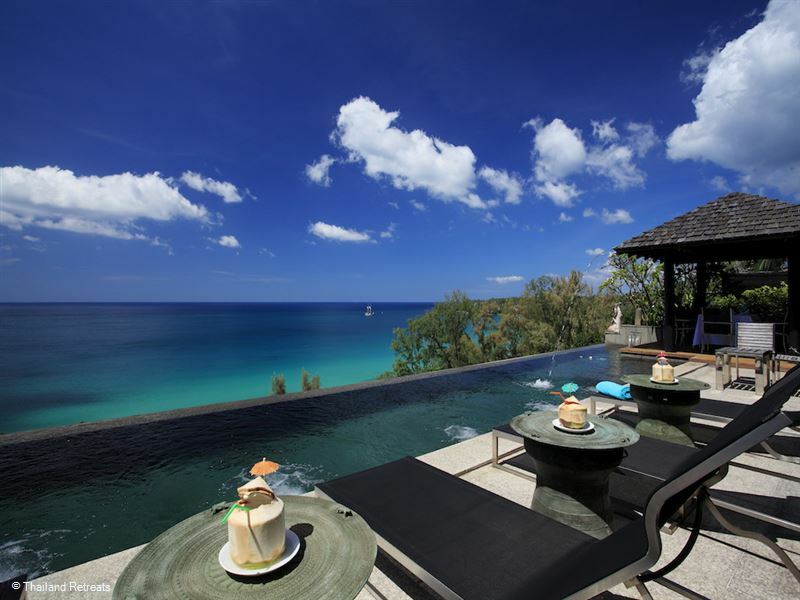 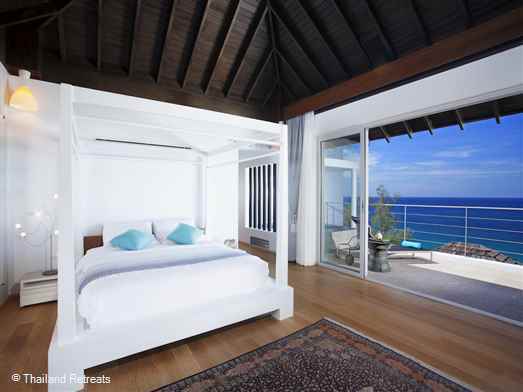 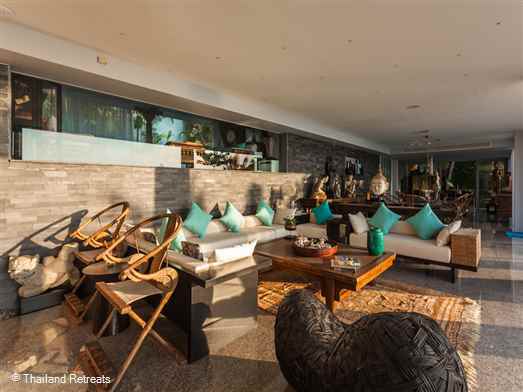 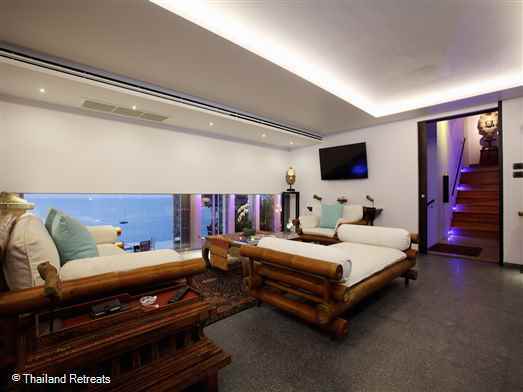 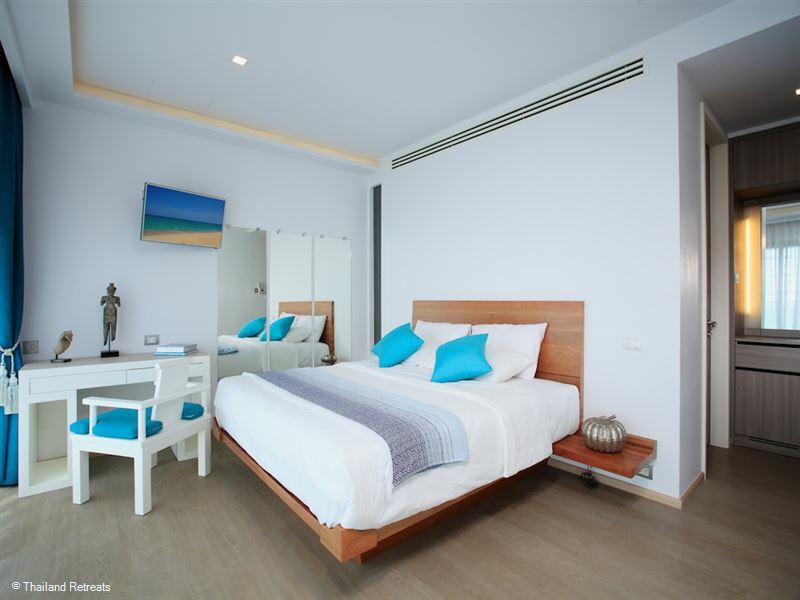 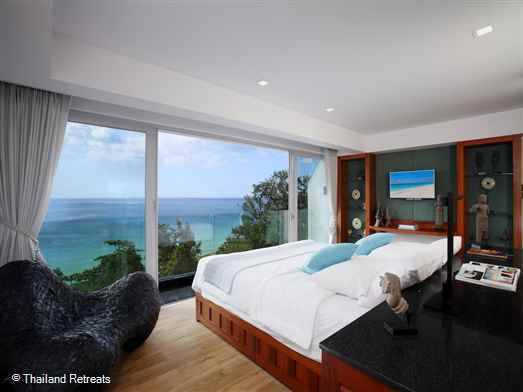 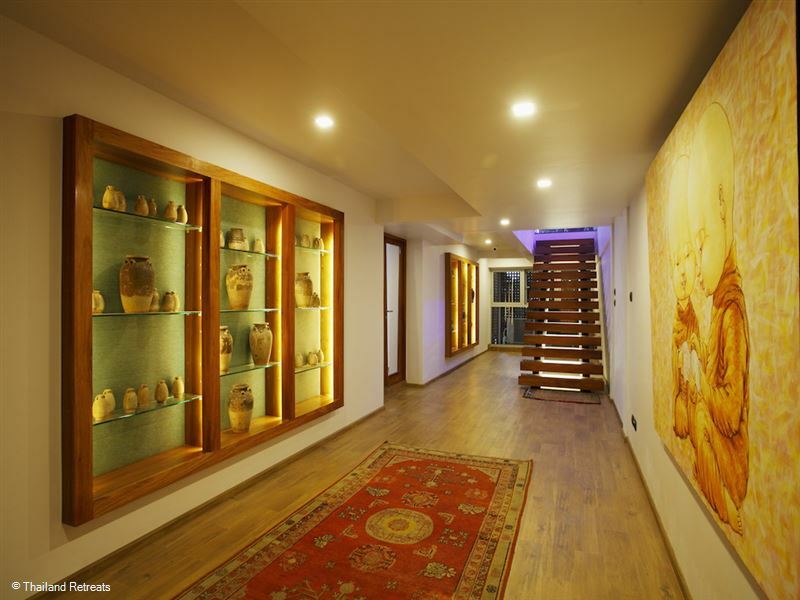 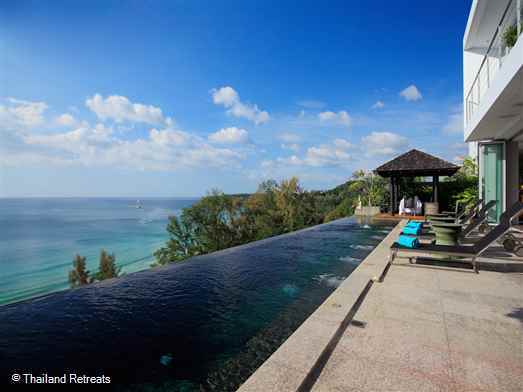 This very private villa can accommodate 20 - 22 persons in 11 ocean view bedrooms. 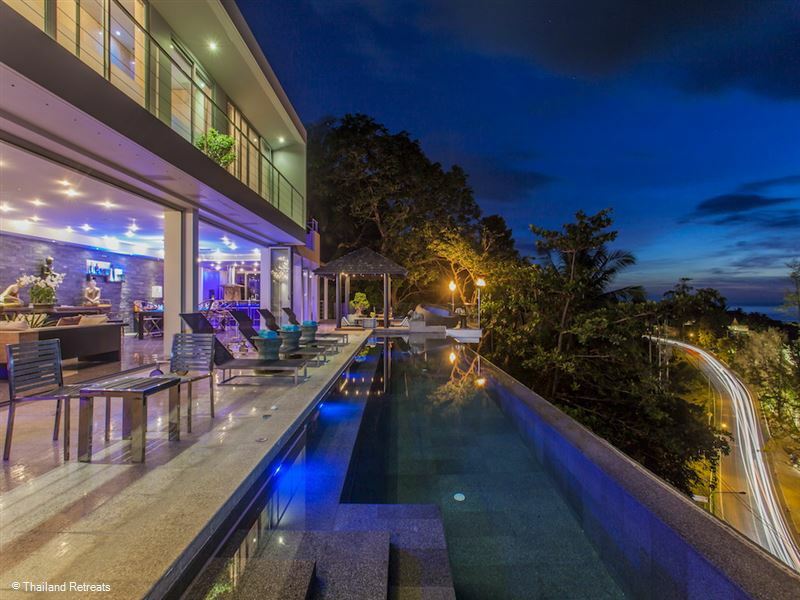 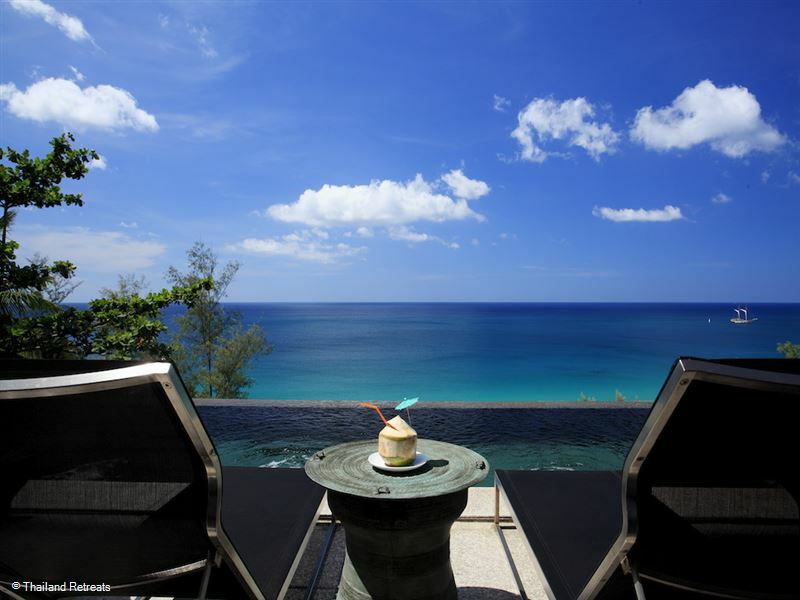 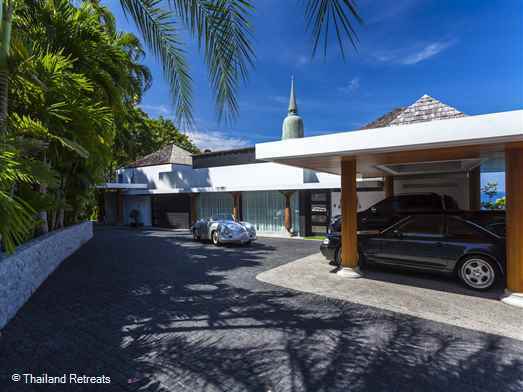 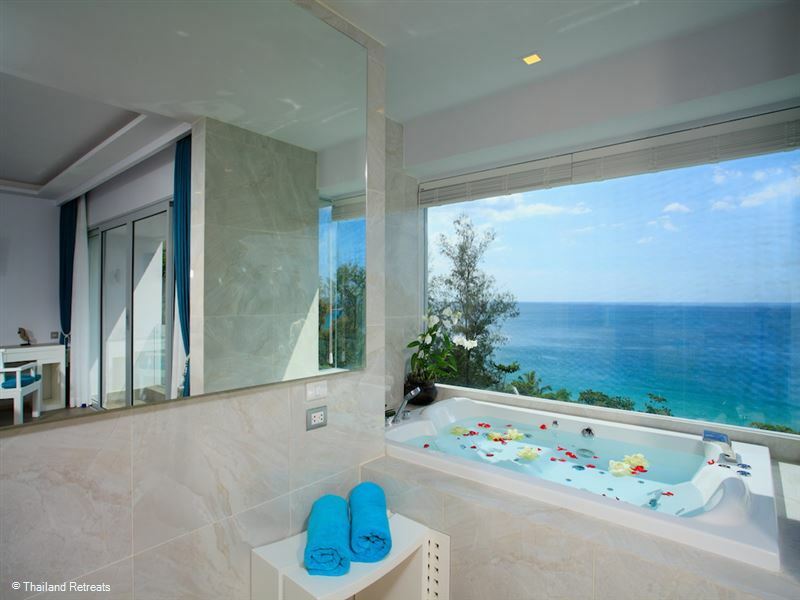 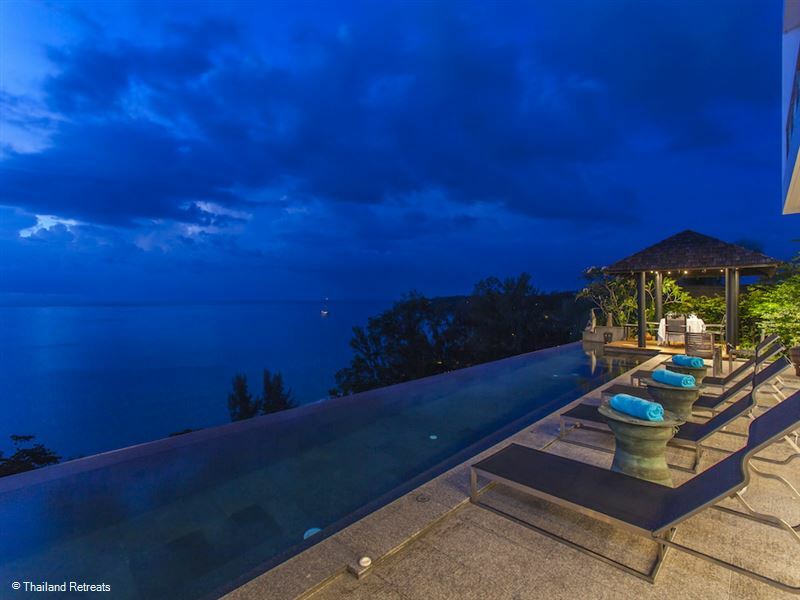 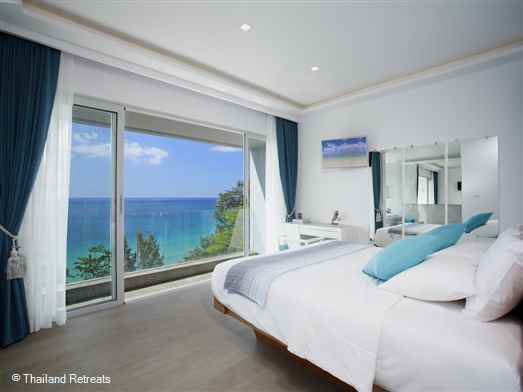 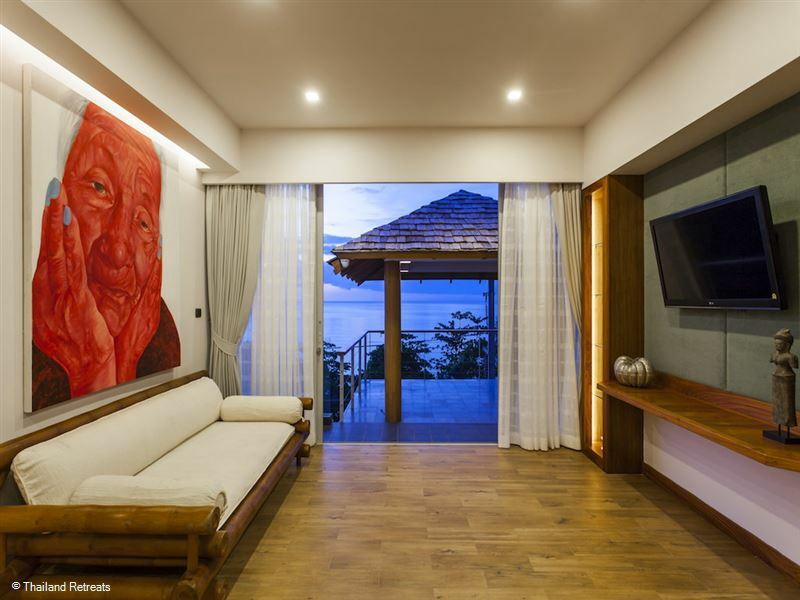 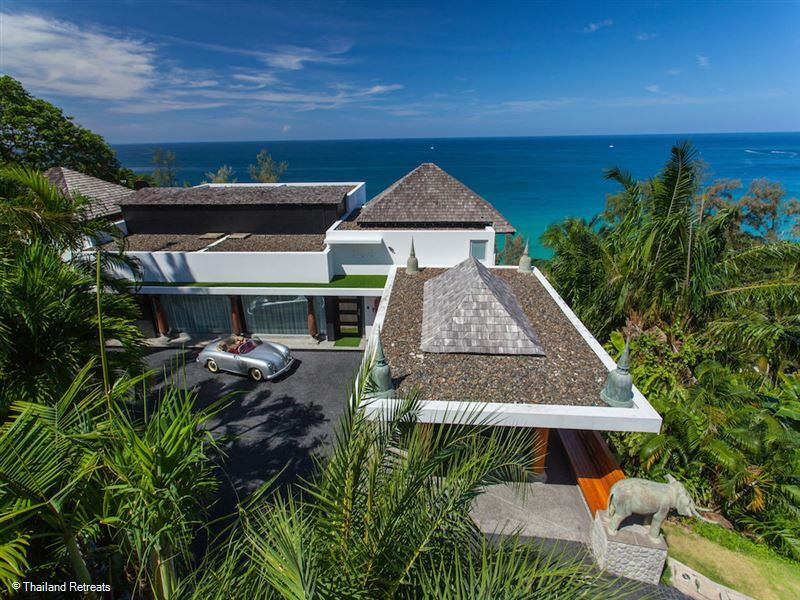 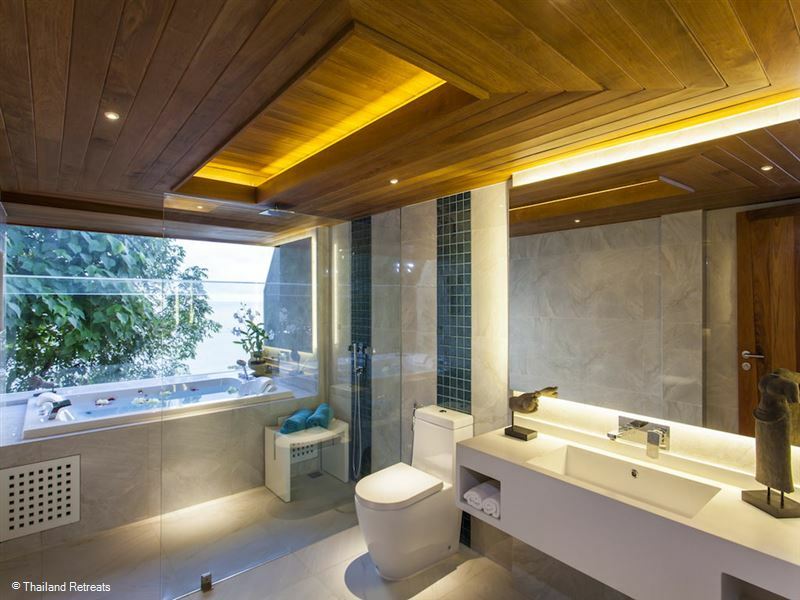 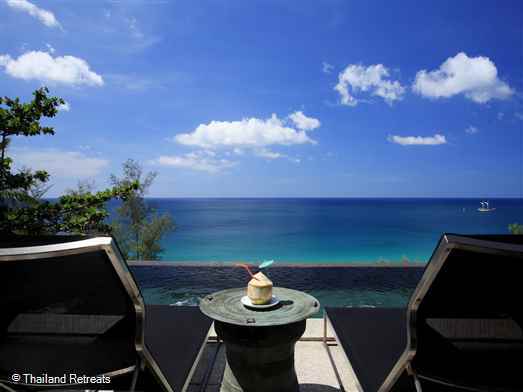 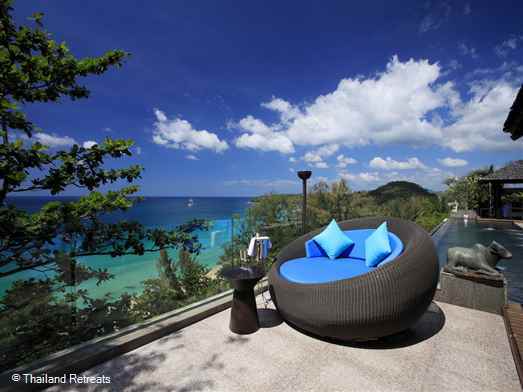 Bluesiam Villa is located on the west coast of Phuket elevated above Surin Beach, one of the most popular and prestigious beaches on Phuket offering stunning ocean 180 degree views from all 11 ensuite bedrooms and living areas. The accommodation in this very private villa is spread over 5 floors and features 11 bedrooms all with ensuite bathrooms and ocean views. 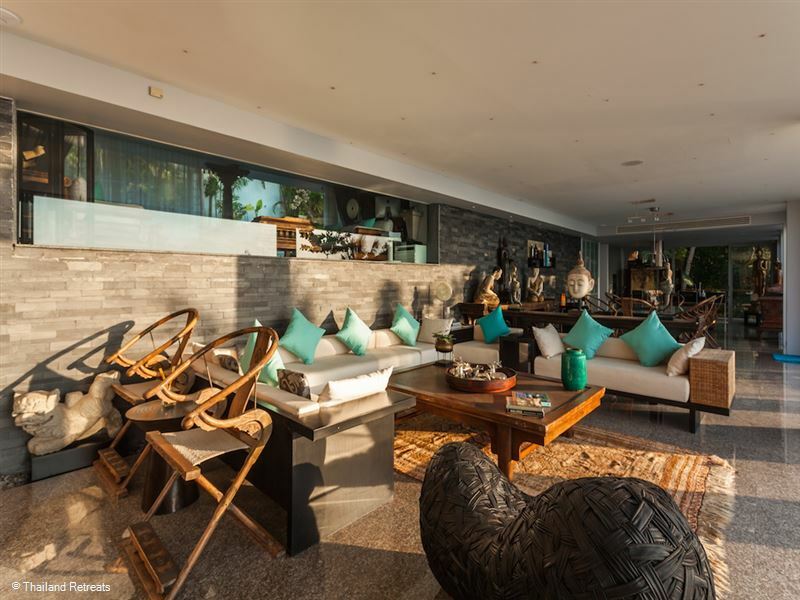 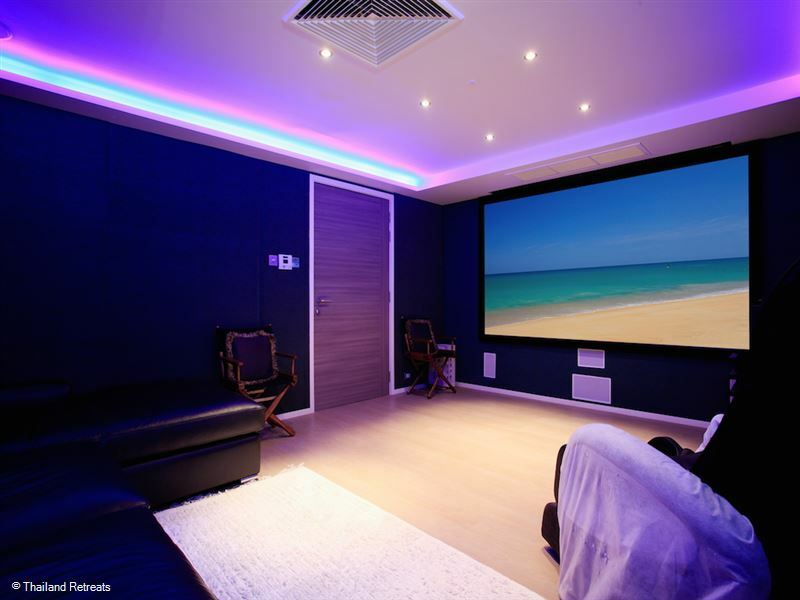 The villa is approached by a sweeping driveway and entered at the living area level that feature a large lounge and dining area with a pool table at one end, a home theatre, activity room and a fully equipped guest kitchen wth breakfast bar. 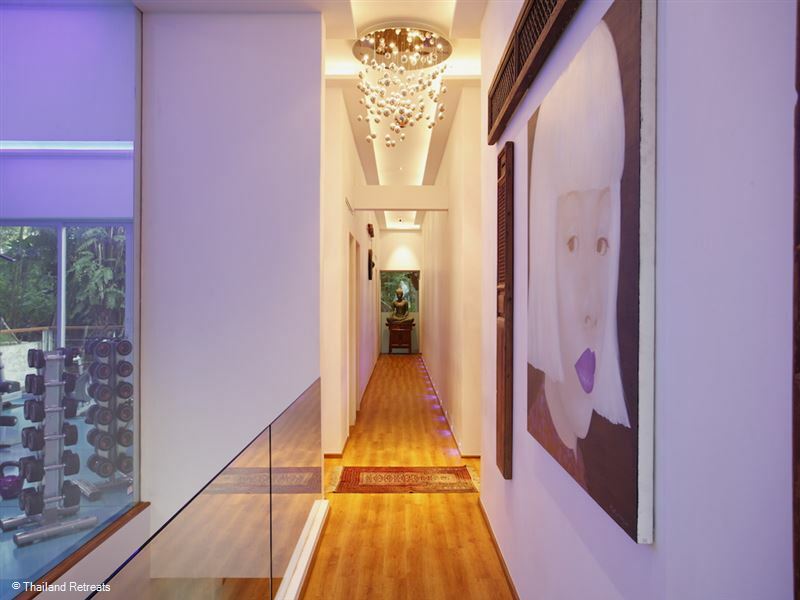 Adjacent is a wine cellar as well as a Thai kitchen for the staff to prepare meals. 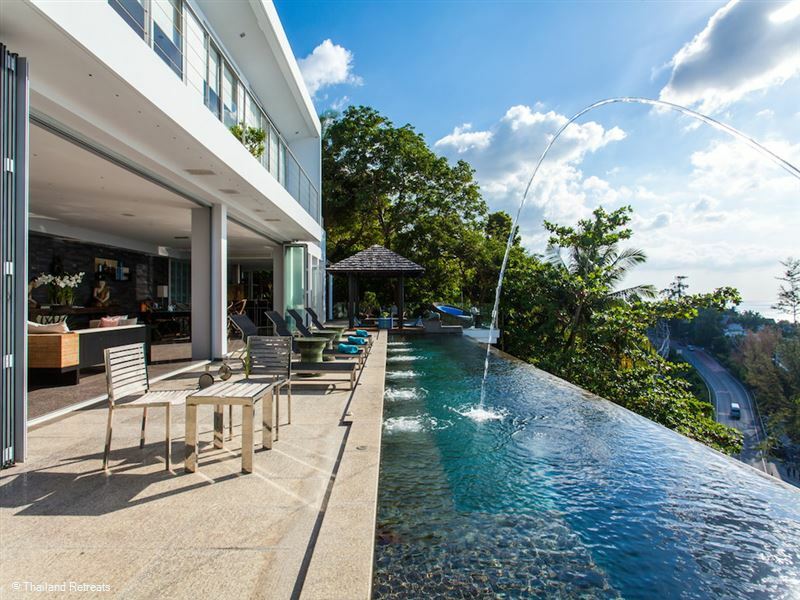 Floor to ceiling slide back glass doors provide seamless indoor/ outdoor tropical living leading to the centrepiece infinity edge pool and surrounding terrace furnished with sun loungers and occasional patio furniture. 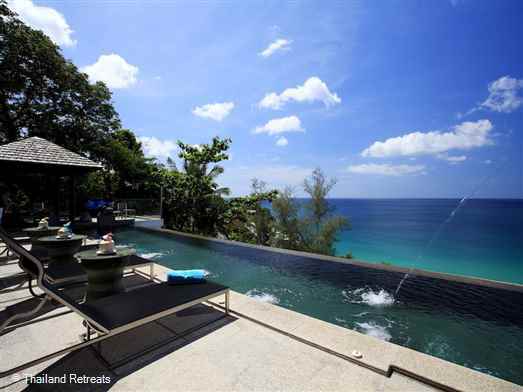 The super large swimming pool stretches the length of the villa and is perfect for large groups and lap swimming for the energetic. 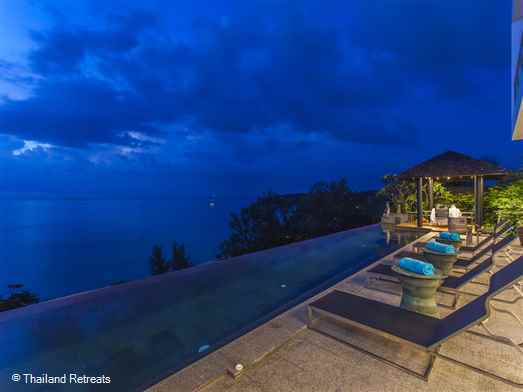 At each end of the pool chill out cool salas provide the perfect spots to sip a cocktail and enjoy the sunsets. Stairs lead up to the upper level of the villa where bedrooms 1, 2 and 3 each with their own private balconies offer spectacular views. 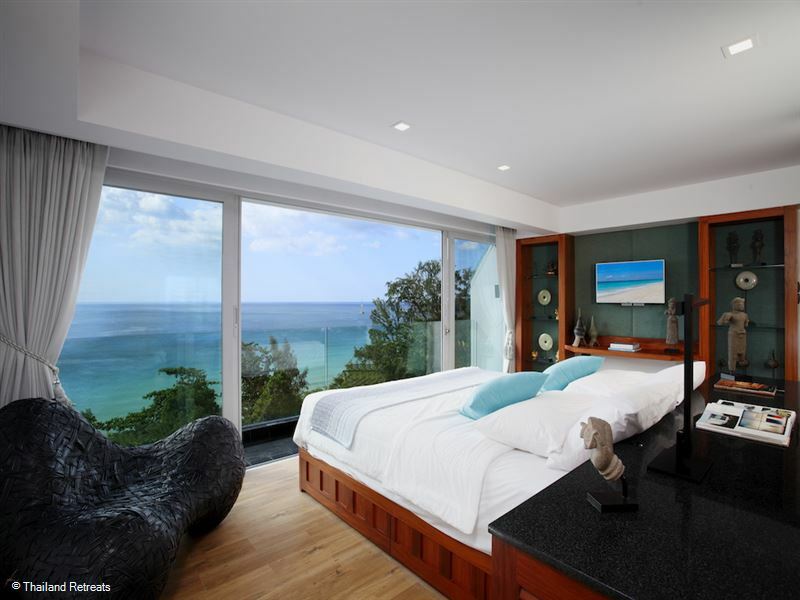 Bedroom 4 is on a split level a few steps down. Bedrooms 3,4 ,5 & 6, the fitness room, spa room and sauna/steam are the next level down from the living area and the remaining 4 bedrooms in addition to a small lounge and kitchen area for convenience at this level. 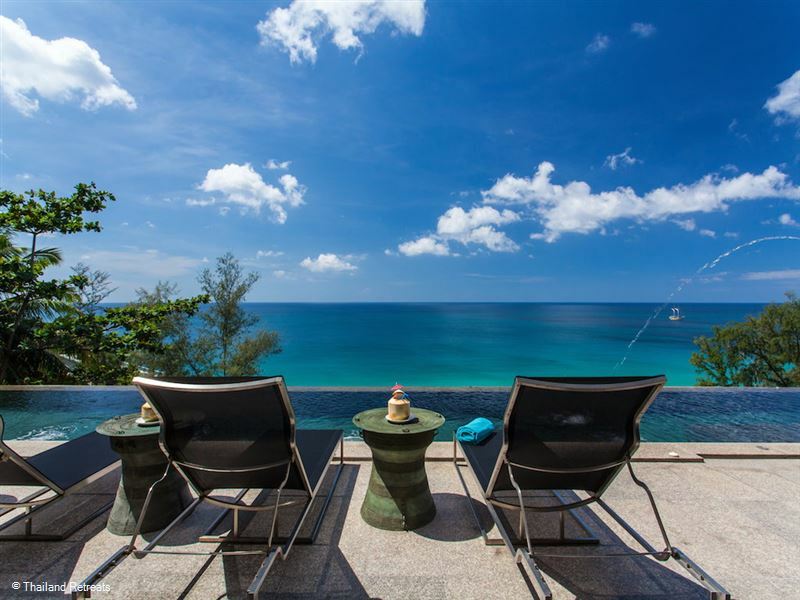 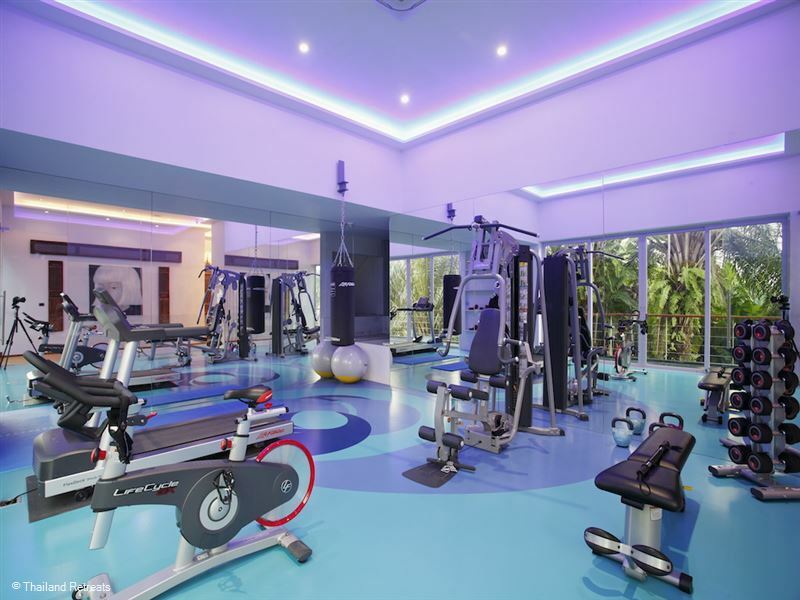 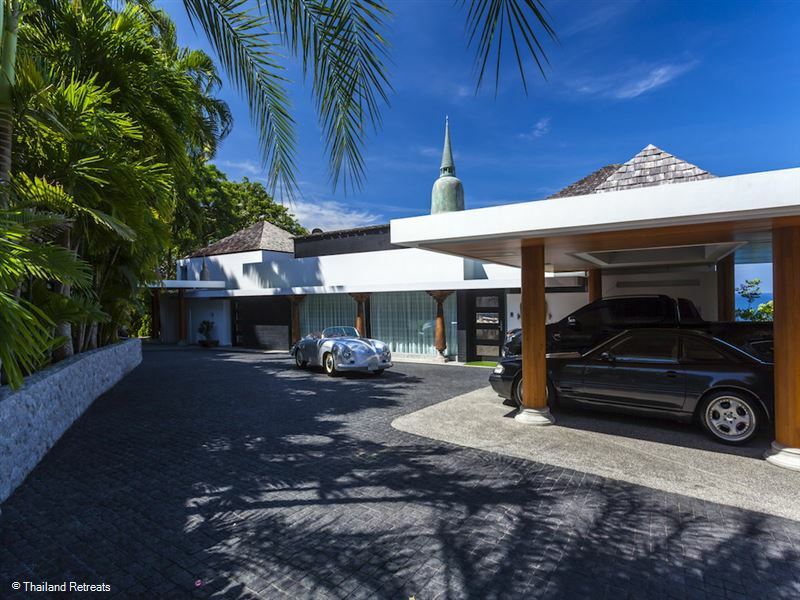 The villa manager who lives in will ensure your well-being and comfort at all times and see to all your requests in respect of tours and other information of where to go and what to do in Phuket. 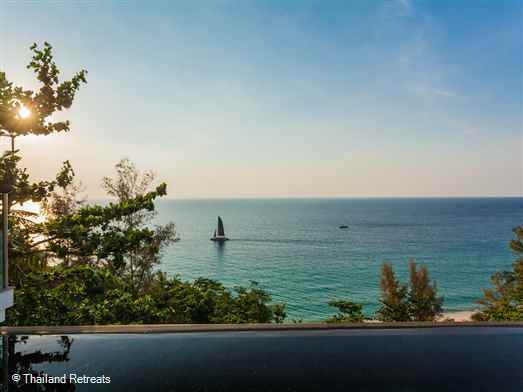 With such an expanse of terracing around the pool, Bluesiam villa is perfect for special celebrations and weddings with such a fantastic backdrop of the ocean and amazing sunsets. 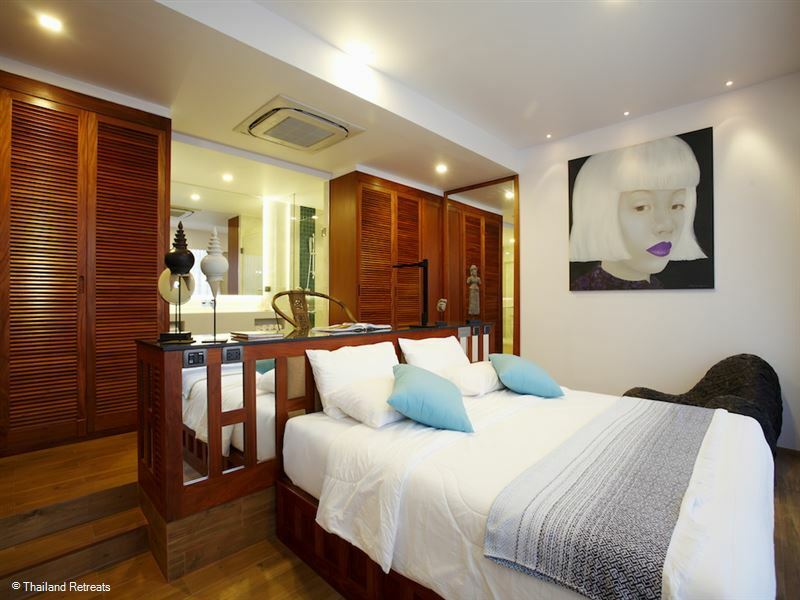 King size bed, Ensuite bathroom with shower & jacuzzi bathtub, Lounge area, Television, Desk, Private balcony. 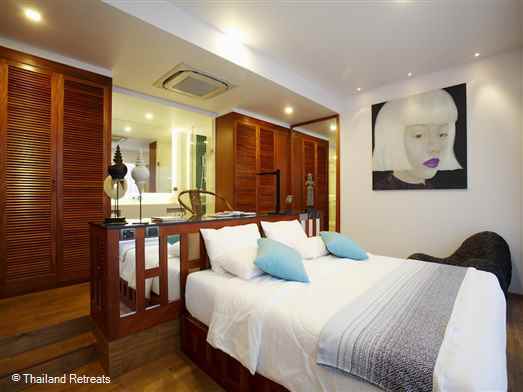 King size bed, Ensuite bathroom shower & bathtub, Lounge area, Television, Desk, Private balcony. 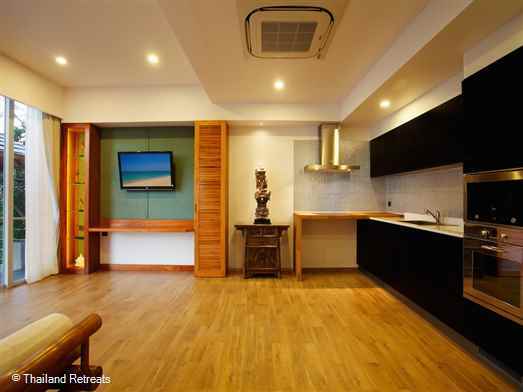 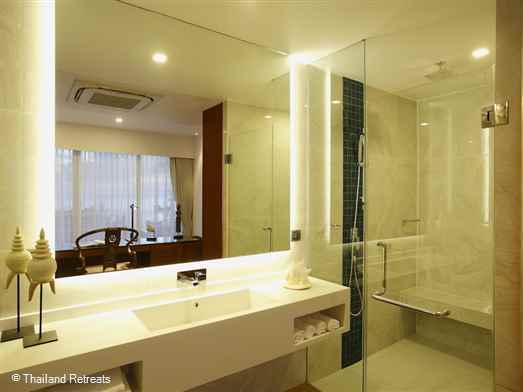 King size bed, Ensuite bathroom shower & bathtub, Lounge area, Television, Desk,Private balcony. 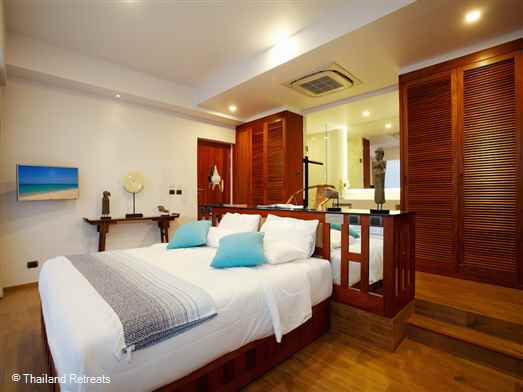 2 single size beds (or one king), Ensuite bathroom shower & bathtub, Lounge area, Television, Desk, Private balcony.